Before I start this post I should tell you that I am no fan of any of the Kardashians and have thankfully never watched that show. But its 2015 and if you spend enough time reading the crap on Dailymail like I do, you cannot escape the Kardashian-Jenner stories. Dailymail writers are probably huge fans of the show or the K-clan (or maybe they pay Dailymail to do at least 5 stories on them everyday). 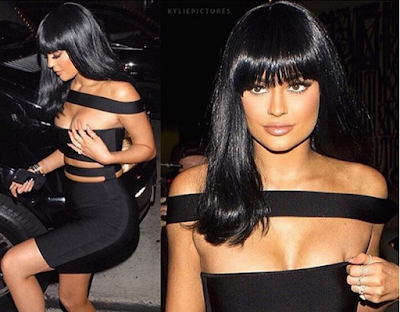 Lets keep the intellect aside but when it comes to appearance, I like the Jenner sisters and am quite impressed by Kylie's hair and makeup game. Before writing this post, I researched a little bit about her ever changing hair color, cuts and hairstyles and discovered that its all mostly wigs! This is actually a very smart thing to do because no matter how much money you spend, constantly coloring your hair (especially when you're going from super dark to blonde) will damage and fry your hair. She even shared her prized collection of wigs on her website during a video tour of her room. Standing in front of her collection, she explained which wig she wore at which event. So that's her real hairstyle finally! Wigs are trending right now because it's a simple way to change your look and your hairstyle without damaging or chopping it off. Wigs can add volume and length or completely change your style or color of hair in seconds. For those struggling with fine or thinning hair, wigs can provide exciting change and increase confidence as they can look better than your real hair. Celebrities like Kylie, Rihanna and Lady Gaga change their haircut and color all the time thanks to wigs. The best part of owning a wig is the versatility it offers because you can change your style and look within minutes, which saves a lot of time and money. 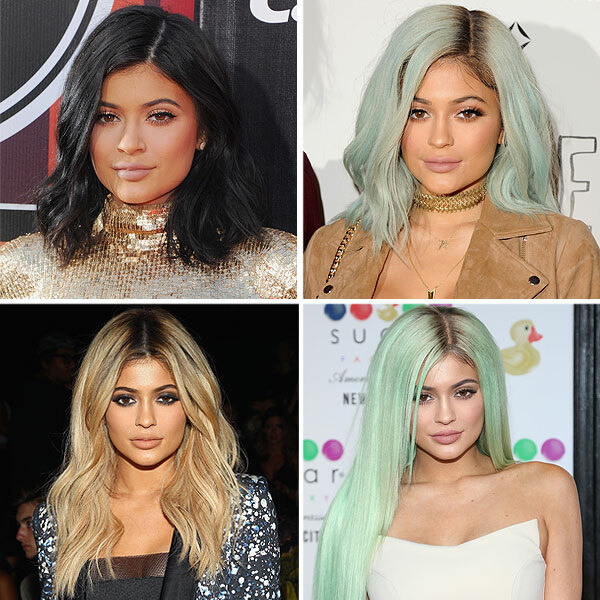 From ice blue to lime green to jet black Cleopatra-esqe bangs, it's clear Kylie Jenner is adventurous when it comes to experimenting with her hairstyle. She has openly spoken about how much she loves wigs and that changing her style has made her feel creative and confident. So what are the advantages of a wig? Wigs offer more protection to the wearer’s natural hair giving the natural hair time to breathe. More than anything else, wigs are hassle free! I have heard of cases where a person spends at least six hours a month getting extensions taken in and out. Then there was someone who once missed a flight because she realized at the airport she'd forgotten her hair straightener and went home to fetch it. Then there's one who has never been to a music festival because she wouldn't be able to bring her hairdryer. These women are all smart, sane, low-maintenance ladies, hair issues aside. Easiest solution to hair woes - get a wig! So if really want to change your look and experiment with your hairstyle without damaging or cutting your hair, check out Hairbro which has a huge selection of human hair wigs for women. Their collection features wigs in exotic colors including honey blondes, platinum blondes, feisty reds, rich browns and much more. I think it's great that she uses wigs. That means she can change things up without damaging her hair all the time. My godd.. wigs!!! she doesn't look good..
Amazing post, I really love her transformations! Hahahaha....the disclaimer at the beginning! I don't watch that stupid show and I try to avoid reading about those attention seeking animals. But you're so right about the Jenner sisters. Kylie's hair and makeup is everything. This is a really well written, post. :) I love the way you write, June! Okay...I just now realized that I put a comma right after "written." LOL...wtf. I need to get more sleep so I can type better. Fantastic post dear! Hope you have a lovely day, June!! !